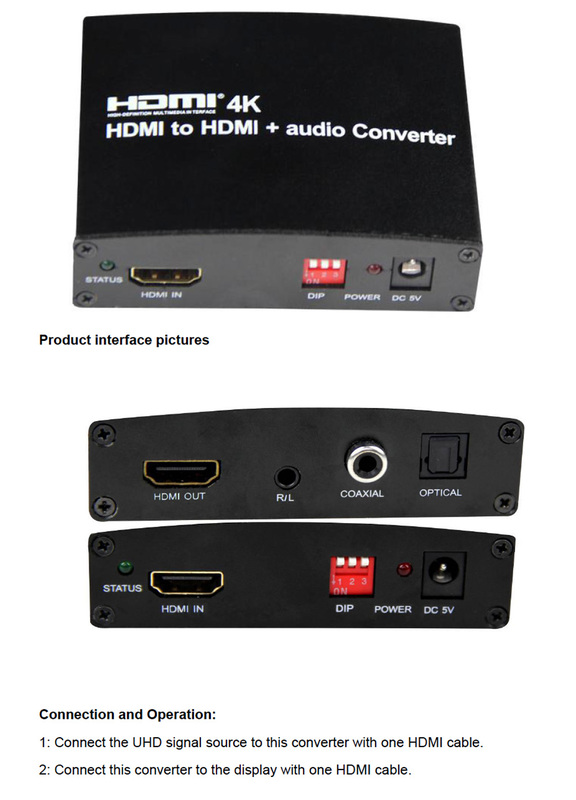 This HDMI to HDMI+audio converter converts the HDMI video signal to displayer/projector, and converts the stripped HDMI audio signal via the audio output to amplifer or speaker ,So that audio and video can be separated. 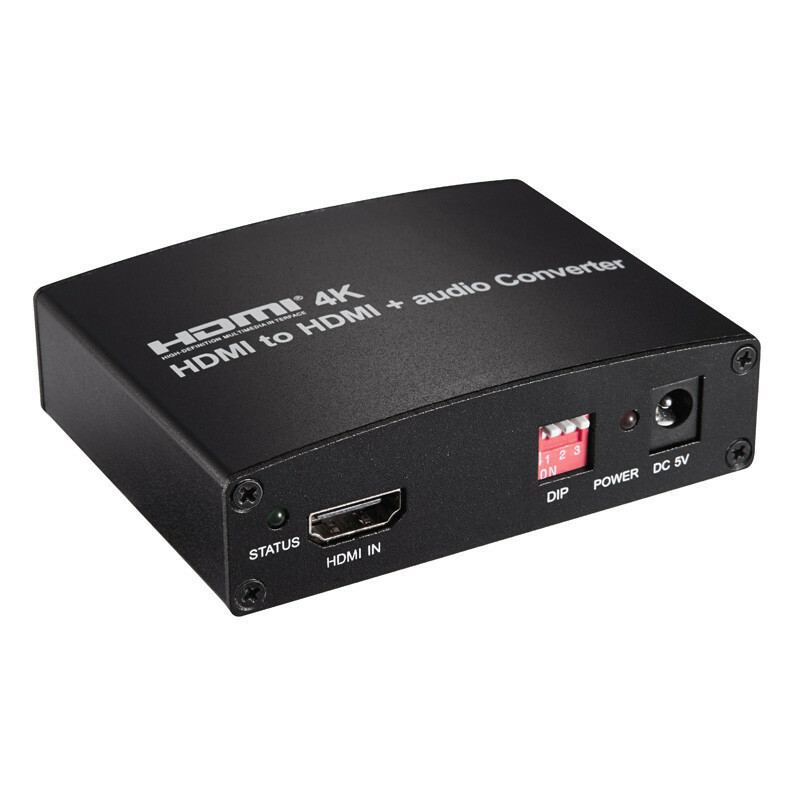 the resolution of this converter can be up to 4096X2160/30Hz. when the resolution is 1080p and below, input up to 15 meters,output up to 15 meters. 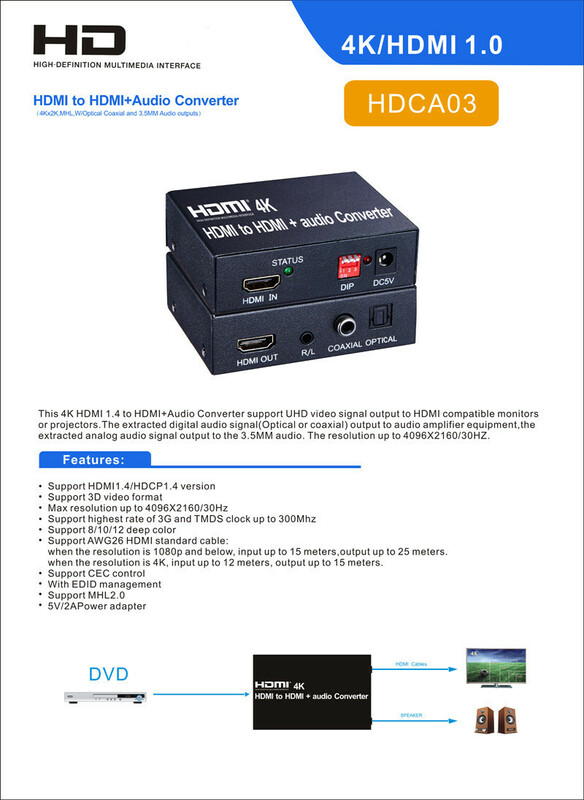 when the resolution is 4K, input up to 10 meters, output up to 10 meters.